South African rider Sheridan Morais will join the Kawasaki Puccetti Racing team for the Motorland Aragon and Assen rounds of the WorldSSP Championship, as a replacement for the recovering Kenan Sofuoglu. With Sofuoglu sidelined after re-injuring his pelvis in the first round of the season in Australia the Turkish superstar was advised to miss the subsequent round in Thailand last weekend, after more detailed medical examinations were carried out. Kenan will now miss the first two European rounds of the season but will be replaced by a highly experienced rider and proven WorldSSP race winner in the shape of Morais. 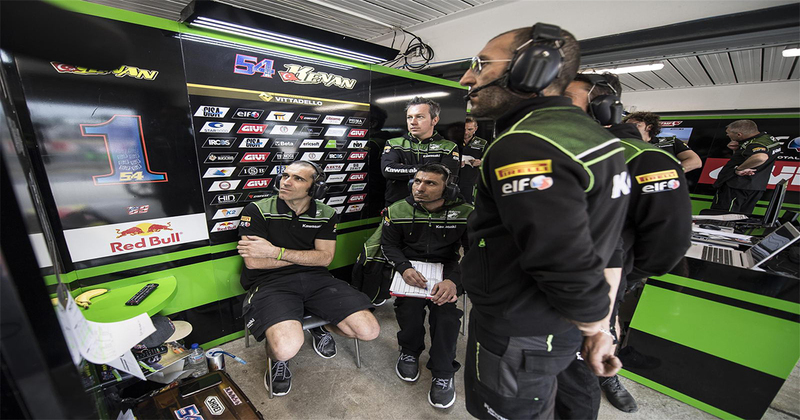 For 33-year-old rider Morais a return to an official Kawasaki ride is a strong opportunity to show his WorldSSP credentials, which culminated in a race win last year. In 2012 the South African rider scored his first podium, and an eventual sixth place overall in the championship, riding for the official Kawasaki team. His highest WorldSSP championship position is fourth, which he earned last season. The next round of the WorldSSP Championship will take place in Spain, with raceday at Motorland Aragon on Sunday 15th April.